In the last few years, Naylor & Breen has continued to have steady and slow growth under careful management. In recent years Naylor & Breen completed some of the most impressive custom residential projects in the area. A 6000sf, lifelong dream home in Rutland town was truly an honor to construct. 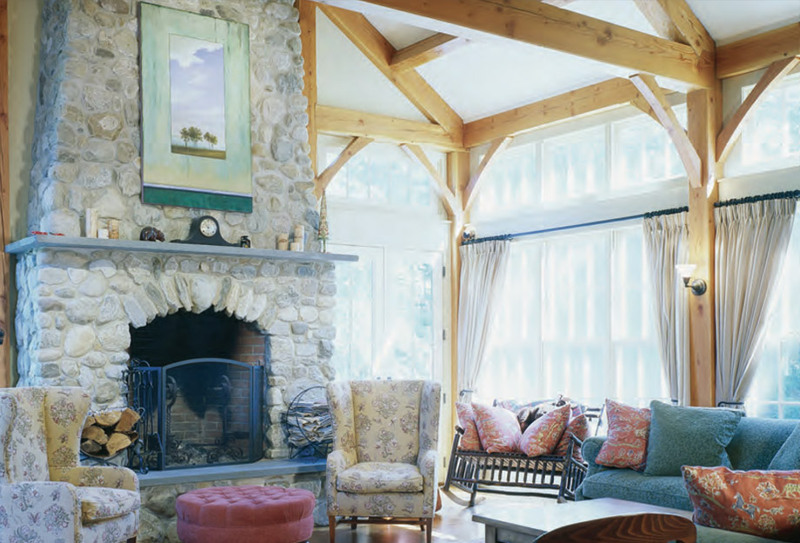 A number of beautifully designed homes by Haynes and Garthwaite were completed in Lyme NH, Orford NH, Woodstock VT, Thetford VT, and Plymouth VT. Working with Brad Rabinowitz Architects, Naylor & Breen has also completed five homes in Chittenden, Vermont as well as the “Tree House”. The Tree House is a 450sf structure built on stilts with a bridge to access it. This small structure sacrificed nothing and was an absolute joy to build with Brad Rabinowitz and our long time client and friend. This project was so incredible it caught the attention of Fine Homebuilding Magazine and was published as one of the magazine's feature projects.
" We are so thrilled with how the entire process was smooth and the outcome magnificent. You understood exactly what we wanted, so that we didn't waste time. We appreciated being informed about the various stages. The expected bumps along the way were minor and handled in stride. I'll never forget being up there in December and seeing the amount of activity even though it was so cold. Working with the Naylor and Breen team has been a real pleasure. I wish that we were building another house so that we could work together again!! " © 2018 Naylor & Breen Builders, Inc.